How to Choose the Right Stem Cell Clinic - Piedmont Physical Medicine & Rehabilitation, P.A. In the U.S., there are a handful of clinics, medical centers and physical rehabilitation facilities that offer stem cell treatments and services. Our goal is to provide relief whenever we can without over-treating. Since we offer a variety of regenerative medicine treatments, we are able to pick the one that makes the most sense for each individual situation. Some of us have extensive knowledge, education and experience on the topic, but there are others who aren’t as qualified to perform the task, whom have only one option for care, or have only limited education on the topic. In that regard, it is not uncommon for the media to report that not every center that offers stem cell services is legitimate or reliable. Some clinics jump at the opportunity to perform stem cell services on everyone that walks in the door when a lesser level of care would have done the job. Others do not offer the full complement of services necessary to maximize the likelihood of success from a treatment (stem cells often needs help to make sure you benefit from its full effect). With stem cell care the exploitation of patients can be a problem, so we want you to be informed before you pick the right stem cell clinic. How much experience does the doctor or physician have? For doctors and physicians, expertise stems from study and experience. The more they know about the procedure, the more they have done a procedure, which means a tilt toward a better outcome and fewer complications. It’s ok to ask your physician about their background and experience. More specifically, inquire how many times they have completed a stem cell based treatment, over how many years, and do they have personal outcome data. Ask for a specific answer, and don’t accept vague responses. Ensure that they’re talking about stem cell treatments and not another procedure. If they’ve completed over 20 procedures, you’ll know they’re competent in the task, but if they’ve hit over 100 procedures, you’ll know that they are well on their way to expert status. When they are available, it can help to look at testimonials so that you can hear about the outcomes from previous patients as well. What’s the doctor or physicians’ success rate? Although completing a lot of treatments is great, what makes it even better is how many successes were derived from those numbers. You don’t want to be hearing too-good-to-be-true stories, and unbelievable success rates. You want an honest answer, because even the most successful of clinics have patients who don’t respond to treatment as well as they hoped. A physician will do everything in their power to make sure every procedure is performed safely with minimal risks and maximum benefits, but there are some things that are out of their control. By giving you a proper diagnosis, talking to you about your condition and what you expect to gain from this treatment, your physician should be able to tell you whether you are or aren’t a suitable candidate for this procedure. Ask him or her what you think your success rate will be. Ask if there are other alternatives that are less costly. Ask what be done to help make sure that the procedure is successful. Look for someone who is willing to have a conversation with you, and not just push you to buy a service. 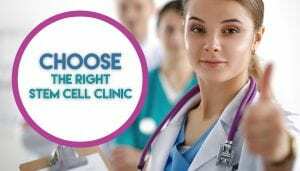 What does the clinic claim they can treat with stem cell therapy? A big red flag when choosing a stem cell clinic, is seeing if they are marketing the treatment for numerous conditions. If the clinic is claiming that they can provide a solution for neurological, immunological, cardiac, ophthalmologic, orthopedic, cosmetic, sexual enhancement and many others, that should be a sign to raise concern. Excessive claims cross into ethical and regulatory issues, and should be handled carefully. Stem cell therapy is not a quick fix for every type of condition. At Piedmont Physical Medicine and Rehabilitation, we focus on musculoskeletal disorders, degenerative arthritis, and peripheral arterial related diseases. 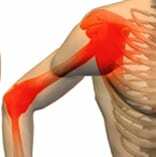 We specialize in orthopedic and pain management, and do not yet feel that the use of stem cell therapy for other means has been firmly established. Can your doctor or physician inform you about the technicalities of procedure? For autologous stem cells (those that come from your own body) where do you harvest stem cells from? What harvesting technique do you use? What are the benefits of placental derived stem cells vs autologous cells? What are the differences in the course of care between the placental and autologous cells? How do you determine accuracy for injection? Do you use a local anesthetic and does it affect the outcome? The more you know about the doctor, the clinic, and the procedure, the more informed you’ll be about making the right decision. Ask questions, do your research, and learn about the different kinds of regenerative medicine available. Make sure you feel comfortable with the clinic you go to. 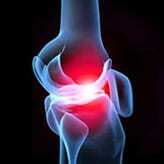 Does it have a complete product line of regenerative medicine offerings? If so, then no matter what is wrong they won’t have to over treat you. Instead, they can provide you with the care that you need.